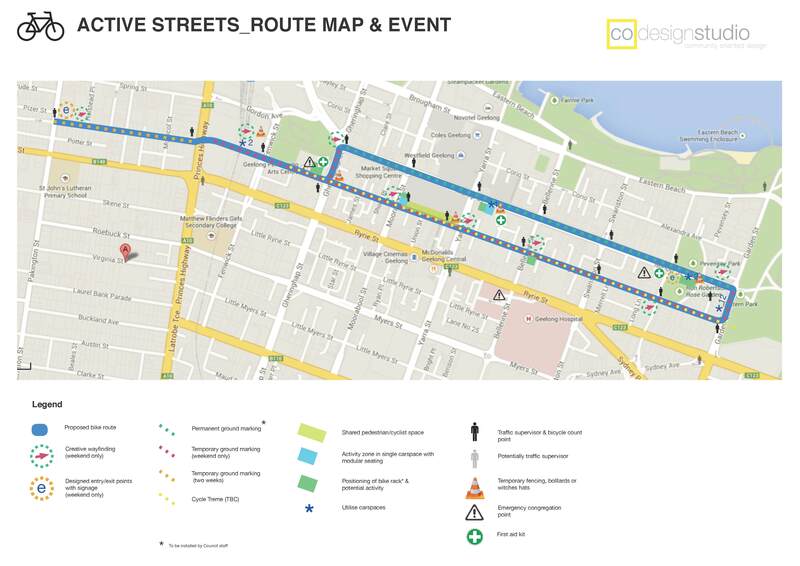 CoGG are running Geelong Active Streets which tries out part of the proposed east-west bike link through Geelong. This is part of the Sustainable Living Festival. The ride is supported with special activities along the way, special signage and marshalling. The event runs from 10 AM – 4PM. Cycling Geelong will be running a ride to try the route and enjoy the event – 11:30 Saturday February 21st, corner Villamanta and Pakington Streets. Michael Lindsay will lead a slow ride along the route and back. Go to Geelong Active Streets for more details. This entry was posted in Bicycle Advocacy, Bicycle commuting, City of Greater Geelong Council, Club events, Cycling Safety, Sustainable transport and tagged Geelong Active Streets, Sustainable Living Festival by hlyth2013. Bookmark the permalink.